Packers CB Casey Hayward has been ruled out for the third straight week to start the 2013 season with a hamstring injury, so the earliest Hayward could see the field this season will come after next week’s bye. Hayward missed the first three full weeks of training camp before returning to practice, but then he aggravated the hamstring when he tried to play in the third preseason game vs. Seattle, on Aug. 23. He has not practiced since. Also missing practice on Wednesday were CB Jarrett Bush (hamstring), FB John Kuhn (hamstring), RB Eddie Lacy (concussion) and TE Jermichael Finley (toe). Finley was on the report last week and rested the toe at times and then still played in the game on Sunday. S Morgan Burnett (hamstring) practiced on a limited basis, but in the portion of the workout open to reporters, he was doing jog-thru work on the scout team, so he may be held out until after the bye week as well. 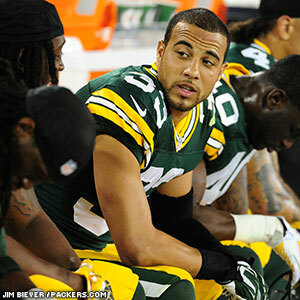 DE Johnny Jolly is also listed on the injury report with a neck injury, but he was a full participant in practice. Packers CB Casey Hayward has been declared out for this week’s game against the 49ers with a hamstring injury, which he re-aggravated in his lone preseason appearance against Seattle on Aug. 23. Mike McCarthy said he has no timeline for Hayward’s injury. 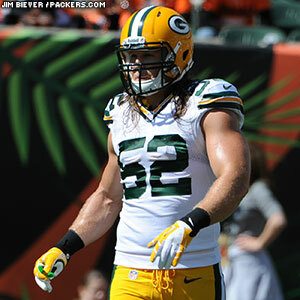 That leaves the Packers essentially two options when they go to their nickel defense (three CBs) in San Francisco. Either Davon House comes in to play on the outside, with starter Tramon Williams moving over to play the slot, or rookie Micah Hyde takes the slot position, with Williams and Sam Shields remaining outside. Hyde, a fifth-round draft pick out of Iowa, was a training camp sensation who will almost surely be tested by the 49ers if he takes the field. It’s common for offenses to attack rookie defensive backs from the get-go. Hyde added that he’s never really gotten nervous before, other than the normal early jitters that come with any first game. He certainly never appeared nervous during the preseason, making aggressive plays all over the field. Time will tell if the regular season is any different. Packers CB Casey Hayward hasn’t slowed down much since his rookie season ended. 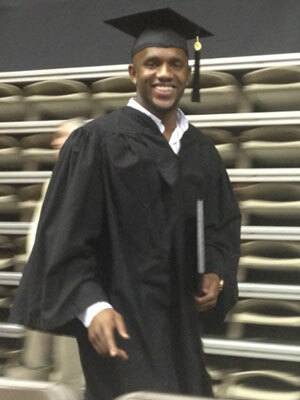 Shortly after the Packers were eliminated from the playoffs last January, Hayward returned to Vanderbilt University for his final semester of college, and Hayward graduated last week with his degree in sociology. Needing just 13 hours, including one more class in his major, to finish his degree, Hayward decided not to wait to go back to school. Having skipped the last semester he needed to graduate in order to go through the pre-draft process last year, Hayward didn’t want to put it off any longer. “I wasn’t sure when I was going to go back, but if I waited another year, (the chances) were going to be slimmer than me just going back this first year,” Hayward said. Through independent study arrangements with his professors, Hayward was able to return to Green Bay for the start of offseason workouts last month while continuing to complete his coursework. The Packers’ leader in interceptions last season with six, a total that was best among all NFL rookies, Hayward finished third in defensive rookie of the year voting in 2012. A second-round draft pick, he has laid a foundation for a potentially long and lucrative career in the league, but he didn’t let that get in the way of finishing something he had started. 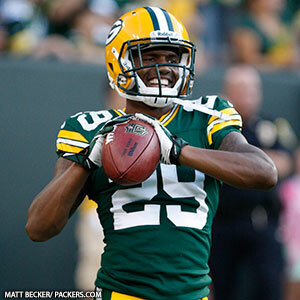 Packers CB Casey Hayward finished third in the Associated Press voting for Defensive Rookie of the Year. Panthers LB Luke Kuechly won the award by getting 28 of the 50 votes. Seahawks LB Bobby Wagner was second with 11 votes, followed by Hayward with six. Rounding out the voting were Rams CB Janoris Jenkins (3) and Buccaneers LB Lavonte David (2). 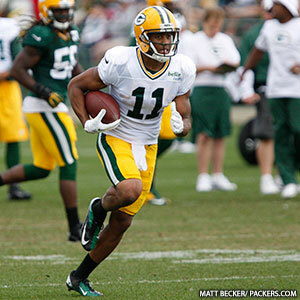 Hayward led the Packers and all NFL rookies with six interceptions in 2012. Hayward was trying to become the first Packers player to win AP’s Defensive Rookie of the Year award since CB Willie Buchanon in 1972. 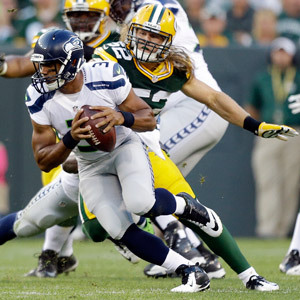 Packers QB Aaron Rodgers earned two votes for Offensive Player of the Year. That award went to Minnesota RB Adrian Peterson.